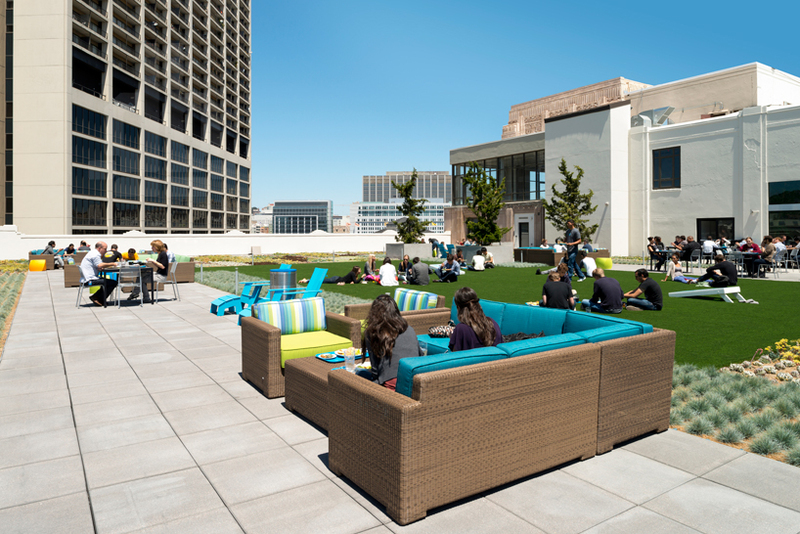 The Twitter Building on Market Street, San Francisco, sounds like an aviary bustling with activity. With its bright open spaces and chirping entrepreneurs hatching the next project, it might as well be. Several floors are dedicated to what can only be described as a technological frontier, where the tech generation of pimply youths barely out of school are subscribing to what they believe to be a revolution. This is where the incubator concept comes in, a place where an idea is kept warm and nourished for its release into a capital driven world. 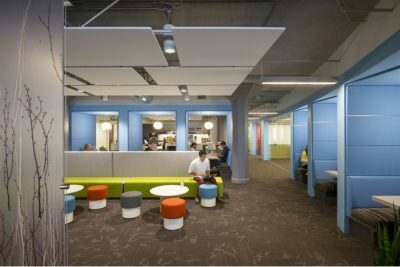 For it is here, in these open floor spaces without partitions, without privacy, where human agents perform to the tune of a business civilization keen on the bottom line and the next innovation. Whether these “incubators” generate the next big idea of mind bending proportions, the next colossal feature that will alter human behaviour, even conditioning it, is unclear. That is almost beside the point. The quest for altering, adjusting, and patterning human behaviour to the machine, to make an invention that transforms the creator, is ancient. The gods, or God, remain humankind’s greatest creation, a machine of terrifying influence and affect to hold whole families, tribes and nations to ransom. God was replaced by human-directed efforts at understanding consciousness, with a little help from mind expansion agents. The focus of conditioning still remained, only this time, it was induced by the consumer. This army of impetuous youths, tempered by a naïve assumption about superiority, insist they are on to something. They wish to find their next narcotic, albeit through their next creation. They may be right, though the political and social context tends to evaporate the closer you get to these various ideas in incubation. On the tables of employees of the various concerns lie books of varied quality: suggestions on appropriate management, how to strike it rich in quick rapid succession, and the occasional quirky title that seems to have no place at such a venue. Those in attendance at this launch event range the fields of the Silicon Valley market, its props, is cogs, and its servants. There are those wishing to shop around for the right “space”, where they will advertise the relevant idea that will either perish or thrive, the appropriate venue to park the next offspring of the incubator project. There are engineers from India who hover with a sort of forced curiosity, one resembling a declining professor with a stunning white shirt sullied by wine stains. “I’m an engineer,” he enthuses with a grin of teeth so pronounced they seem to be leaving his mouth. Another more youthful, green-behind-the gills fellow from the southern reaches of the Subcontinent feels constrained to insist that the event is “brilliant” and “wonderful” though displays no insight into how a set of redundant, poorly manufactured sight finders can be such. This launch gathering is typified by the smells of the technology pursuit: the grease and heavily floured base of over flavoured pizza by the dozens, the meat barely legible, the cheese so heavy it has become a mush of drowned desperation. Further down the stretch of hall, a bit away from the launch event, a complete contrast is promoted: the healthy eater is encouraged with fanatical piousness; there are “organic” options for the desperate after working hours on end, and healthy approaches to coffee consumption. There are spaces to relax in, to escape the grind. One stands out with its “Zen” feel, equipped with bean bags, mats, sofas. Then comes the culminating show, a discussion showpiece that demonstrates the limits of that youthful enthusiasm for open work spaces. Such a concept collapses when faced with what is otherwise termed the discussion of ideas. For launch organisers who have no idea what a room looks like – unless you are trapped in a box resembling the TARDIS from Dr. Who, or a closed office space, this is challenging. To be in such a space would be to repudiate the ideal of openness and offend the God of Transparent thinking. A haphazard chairperson handles, poorly, three speakers from Silicon Valley enterprises who have “made it”, including the LucidCam entrepreneurs, probing them with the intellectual intensity of melting butter. This is the business of strut and show, not an analysis so much as a promotion. The audience is also fairly nonplussed. Many soon peel off, repairing back to the wine and nibbles. Others scuttle for the exit in search of another launch. New arrivals, caring little for the discussion, loudly intervene to test the goggles. A gaggle of youthful Chinese girls are very keen to observe the world through these devices which, at this point, seem to be failing. As, in fact, is the vision.